It’s that time of year again – time for some friendly Halloween competition at work! 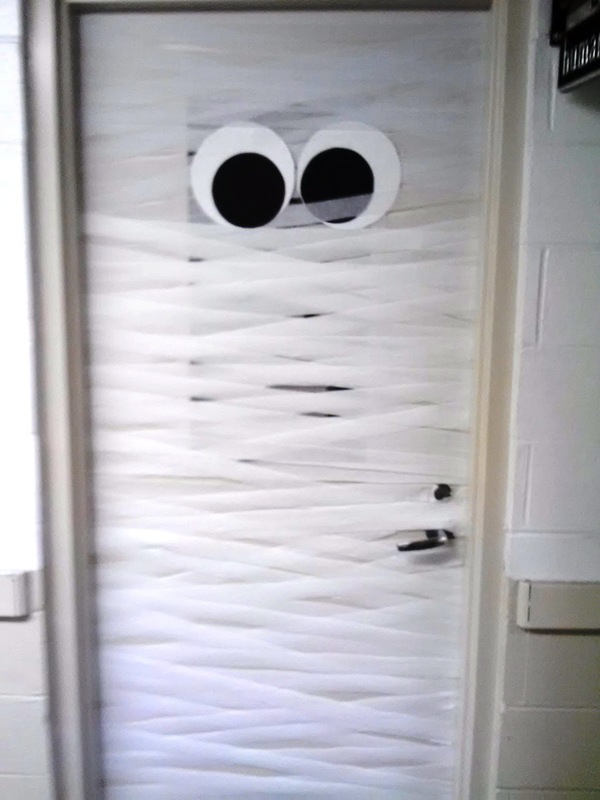 Each year, my office hosts a door decorating & a pumpkin decorating competition. You may recall that last year, I decorated my office door with bats and a witch. 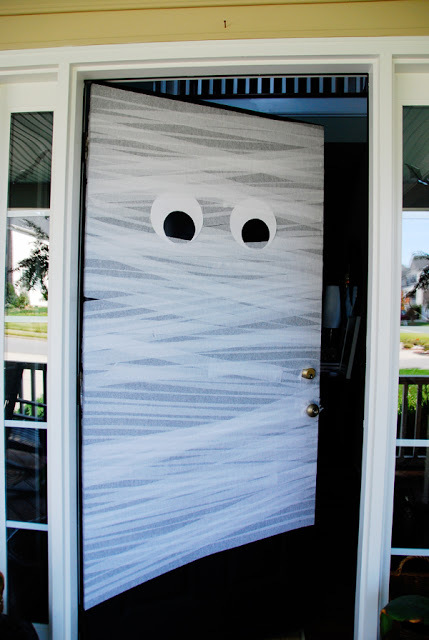 This year I decided to copy Honey & Fitz’s DIY Mummy door. All you need is some white streamers & some construction paper. So easy & so cheap! Just wrap the white streamers back and forth across the door. It definitely looks nicer when you overlap and criss-cross the streamers. 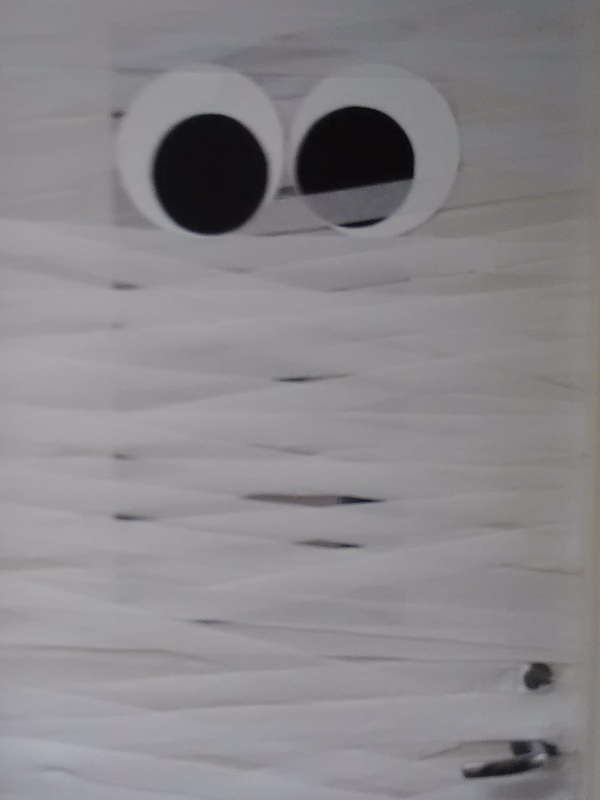 I just used regular scotch tape to secure the streamers and it worked great. For the eyes, I just cut out circles from regular construction paper and taped it up. I apologize for the picture quality. I only had the camera on my phone. It did take a bit longer then I originally anticipated. To complete the door it took about 30-45 minutes. I love it! I think it came out so cute! I will let you know if we win the competition.